Doctors are bombarded with medical equipment sales. To the physician, all the pitches sound the same. Sure, they might have personal preferences — just like some of us prefer Fords and others only buy Chevys. They know there are strict regulations ensuring their DME is diagnostically sound. Maybe some features make your product a notch above the rest, but the equipment is overall very similar. No, it’s not the equipment itself. No, it’s not the quality of your conversation — most doctors love to talk shop with any DME salesperson. No, it’s not the great lunch you provide — they get those all the time. It’s consistency that makes you stand out from the rest. If you have a rhythm for regularly contacting your prospects and clients, you’ll catch them when you need to, they won’t confuse you with other sales reps, and you’ll have control over the relationship so you can be proactive about providing the device they need when the time is right. How can you be that consistent? It’s all about intentional activity levels. Most medical device reps are following up regularly with their current customers. Then they’ll meet a few prospects sporadically and get a new client every once in a while. That’s luck — if you happen to catch a prospect on the right day at the right time, you may get a new client. Instead of relying on luck, you need a plan for following up with potential clients at regular, frequent intervals so you increase your likelihood of being in the right place at the right time for a sale. You set target activity goals. The key to consistently exceeding your revenue goals is consistently hitting your activity goals. You should have a target number of client appointments, prospect visits, and phone call contacts each week. And if you meet those targets, you’ll exceed your goals. How many appointments and calls each week will get you there? Back through the numbers. How much do I make from an average sale? How many average sales will it take for me to meet my revenue goal? How many sales can I expect from my current clients? How many more sales from new customers will I need? How many sales per month get me to that target? What percentage of quotes turn into buyers? What percentage of appointments turn into quotes? 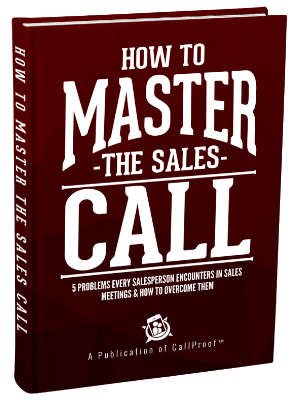 How many cold calls, emails, drop-ins does it take to get that many appointments per month? Divide that number by your days and you have your daily activity goals. How will you hit those goals? Establish a rhythm that keeps you in contact with clients and prospects regularly. Here’s how it works. For prospects, adopt a No Lead Left Behind process. 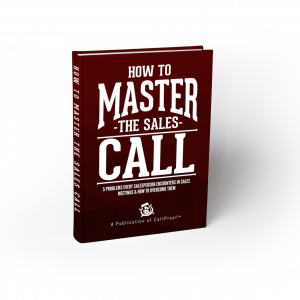 You need a system for following up with each potential client so no lead goes unnoticed. First, find a way to speak to the decision maker. Only then can you really gauge a prospect’s interest. Once you speak to the person with purchasing power, classify your prospects’ interest as active, latent, or not interested. An active buyer is someone who’s ready to purchase. Talk to them regularly, walk them through the process, and provide quotes. You’re moving them towards a close within your current sales period. Your goal is to close within 90 days. If they don’t buy within that time, reclassify them as a latent buyer. A latent buyer is interested, but not ready to close. Check in with these prospects every 60 days until they buy. Others just aren’t interested… but don’t take them off your list completely. Call them once a year to check in. If they ever change their mind, you have a shot at the sale. For your clients, follow a slightly different process for keeping in touch and letting them know their business matters to you. Start with email. Send an email piece 1-2 times per month offering quality information specific to what they’re buying and how you’re helping their business. Then call them at regular intervals. For a day-to-day operations contact, call once a month. Call your ultimate decision makers once every six months. The goal is to touch base to make sure they have what they need and to let them know they’re working with real people. Maybe this seems like a lot to juggle. It is. Keeping up with the intervals at which you contact which prospect and remembering when you last visited that doctor’s office (vs. the twelve others that look exactly the same) takes a lot of mental work — unless you have a CRM for medical device sales that will do the work for you. A CRM for medical device sales like CallProof automates your processes, reminds you when it’s time to make contact, organizes your clients and prospects geographically so you can maximize your time in each location, and minimizes your data entry. Stop popping in on clients and prospects at random. Instead, choose a CRM that helps you follow a process to contact clients consistently and strategically. That’s what will separate you from everyone else.